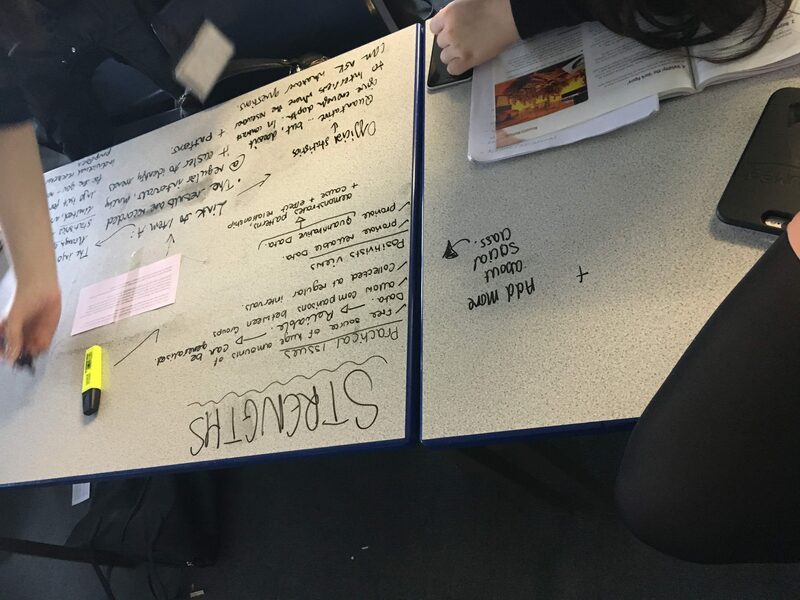 Home Feedback A New Use for Desks! I tried this out with my year 12 sociology class today after seeing it online. They had a question where they had to look at the strengths and limitations of a research method for looking at a particular issue. They had the question and the item sellotaped to the desk. 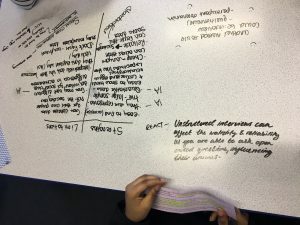 They all had dry wipe markers and started to plan their essay in groups of three. 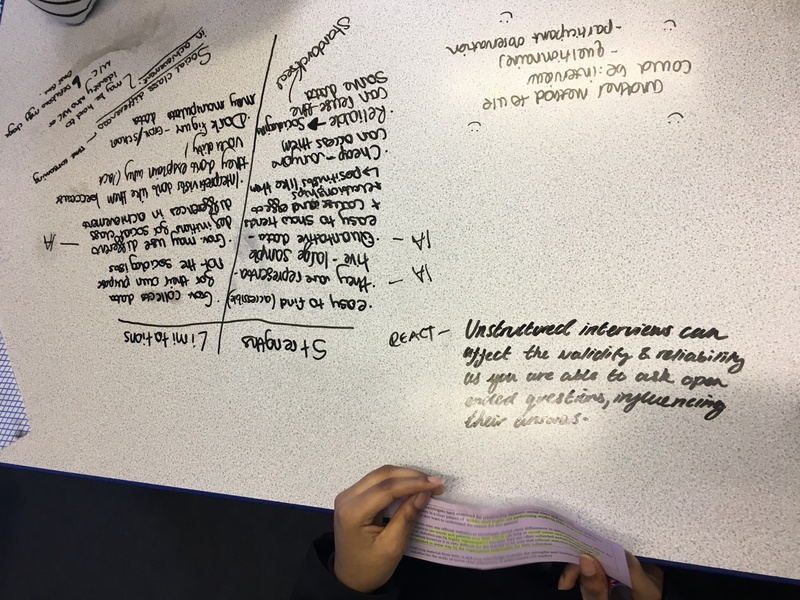 After a while they then moved round to a different group and assessed their plan; adding advice, putting smiley faces where they agreed and highlighting areas they needed to develop to answer these tricky ‘in context’ questions. They then went back to their own plan to react to the feedback. 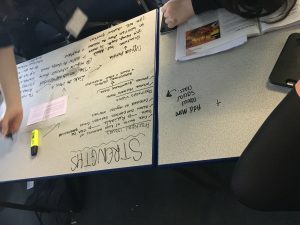 They were really engaged in this task and loved writing on the desks. When their plans were finished they took photos ready to write up the essay over the weekend. They also seemed to enjoy cleaning the desks afterwards with a handy babywipe. I don’t think my desks have ever been so clean! To improve this activity I would invest in some coloured pens as it was difficult to see where the peer assessment and reactions had happened. This could also work well with a silent debate. Previous articleWhere have all the students’ questions gone?